I recently attended a webinar led by Steven M.R. Covey, the author of the book, “The Speed of Trust.” In this webinar, Mr. Covey talked about teams working together, and discussed the differences between coordination and collaboration. I began to think about this in the context of an instructional design project team made up of subject matter experts (SMEs) and other project team members. Coordination – Starting at one end of the continuum is Coordination. Coordination is not a bad thing, and it does include people working together and talking and synchronizing. However, it is limited in scope. There is limited trust. In an instructional design project, at this level, the project may be completed by the deadline, but the culture of the project may be more of a client “telling” the designer what to do, and it is very one-sided. The client puts forth little effort to listen to the designer as a consultant with expertise in learning. Cooperation – Halfway up the continuum is Cooperation. This level is Coordination with a bit more give and take. There is more listening and influencing, but it still leaves a lot to be desired as far as a true team environment. With Cooperation, the project can still be completed as scheduled and as requested and may even include some more discussion, but it is still a client-driven environment. The client may respect some of what the designer has to say about learning, but still ultimately makes the decisions. Collaboration – What sets Collaboration apart from the other two is the nature of the relationships on the team. At this level, it is a true partnership. For instructional design, this means a true trust between client and designer, whether an internal or external client. The designer listens to the client’s needs, but the difference includes the client trusting the designer’s expertise in adult learning, and respecting the designer as a true consultant with expertise in learning. So, where does your relationship with your clients fall on the continuum? Is there true listening going on? Is this listening active and are team members truly seeking to understand each other? Is there true respect being shown for everyone’s opinions, especially when there is disagreement? Are people transparent/open with each other, or do they tend to hide things for fear of being shot down? Does the team focus on clarifying expectations and is there accountability for responsibilities? Trust enables groups to work together in a collaborative environment, which adds to the efficiency and productivity of the team. For us as instructional designers or learning & performance specialists, this means working in an environment where our clients look to us as specialists in the area of learning, and trusting and listening to our viewpoints on the effectiveness of the training. At the same time, however, we are truly listening to our clients to understand their needs and fostering that trust by providing them with a product that meets those needs but does not compromise solid adult learning and instructional design principles. What types of experiences have you had collaborating with project teams? Feel free to share! Imagine that you have been assigned the task of creating a series of eLearning courses to teach a particular job. In addition, this job is quite complicated with numerous skills and tasks that need to be taught. Imagine that this job is so extensive that you just don’t know where to begin. Your first step, of course, is to elicit a team of subject matter experts (SMEs) to assist you in completing a task analysis to determine which tasks must be taught and eliminating other tasks that either are not relevant or are “nice to haves” but not required. Once you have compiled this list, where do you go from there? If you begin developing your material simply from this list, you may be missing a critical step. This post is going to introduce you to a Skills Hierarchy. A Skills Hierarchy is a process by which you and your SME team take a list of required skills and determine the proper order in which to teach these skills. For example, suppose you are teaching new sales associates how to use an established sales process to determine the correct solution for the customer. Before teaching them HOW to sell, they would need to learn the basics of the products that they are selling in order to use this sales process. This is where a Skills Hierarchy would come in handy. It is making sure you do not “put the cart before the horse,” as the old saying goes. We began by writing each skill or task on a post-it note. We ended up with a LOT of post-it notes, but stay with me…it will make sense shortly. We gathered in a conference room with a very large whiteboard and wall. You will need plenty of space. We placed the post-it notes on the board and used erasable markers to draw arrows proceeding from each step, showing the pre-requisite skills and how each one led to another skill. Using post-it notes made it easy to move them around as we discussed the hierarchy. We worked as a team, listening to each other’s viewpoints and ultimately deciding on the right order of the skills for the curriculum. We started with what we all agreed on, and then worked on the items where there were differences of opinion. We ultimately agreed on a final order that would make sense for our audience. We had one team member use Visio to capture the flow so we could have an electronic file to use as we moved into the development stage. Don’t try this alone! Involve a team of SMEs that really understand the job. For the new hire curriculum, the team consisted of trainers who had taught the previous curriculum and knew the job. Diverse perspectives are very important as you discuss the order of the skills. Establish ground rules up front - identify some guidelines for handling differences of opinion or other conflicts within the group so you can ultimately reach agreement on a final order. Use Post-it notes - If you have several groups within the training, use different colors to represent each one. With this curriculum, we had two different groups who had some skills unique to each one and some that were shared. Using different colors helped keep it organized by group. Use Visio or other flowcharting software - Using Visio to capture the hierarchy as you work on it will give you a completed record of the hierarchy to use to communicate to your client group as well as use for a guide as you develop the material. Using a Skills Hierarchy can be a very useful tool for a complicated job that requires numerous skills and tasks to be taught. For our curriculum, we were tasked with a complete re-write, which provided us the opportunity to “start from scratch” and really do a deep dive into all the skills necessary for the job and ultimately how they should be taught. Using this approach resulted in our representatives being better prepared for the job, knowing that each skill built on the previous one. At the end of the day, this exercise laid a solid foundation for this curriculum re-write. Have any of you had experience using a Skills Hierarchy? Please share your experiences! Video can be an engaging enhancement to an eLearning course built with Lectora. However, there may be times when video needs to be controlled without the default video playback controls. These controls can also visually clash with an eLearning course’s template or theme. 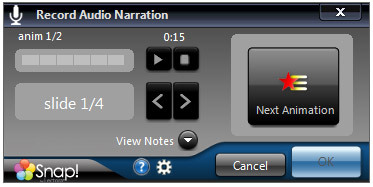 For example, a red and white course template will create a distracting visual contrast to Windows Media Player’s black and blue controls. Fortunately, Lectora offers another way to control video playback. By default in web-based courses, different video file types are played back with their corresponding browser plug-ins, as shown below. As you can see, the different controllers even clash with each other, resulting in an inconsistent user experience if multiple video formats are present. With Lectora, it’s possible to overcome these inconsistencies and create a custom set of basic video controls using only the button wizard and a few actions. If you aren’t familiar with Lectora’s button wizard, you can access it through a button on the toolbar or through the file menu under “Tools.” From there, you can easily create some buttons labeled with what each does, but this isn’t a very elegant solution. Looking back at each of the video player default controllers, you’ll notice the button symbols are all the same. This is because we universally understand the triangle pointing right to signify “play,” the square as “stop,” and so on. Fortunately, we can recreate these symbols with Lectora’s button wizard using Webdings. As you can see in this example, the buttons are much more attractive with rewind, play, pause, and stop in icon form. However, in the Title Explorer window, the buttons were automatically named according to the keys necessary to create the Webdings. For sanity’s sake and for proper alt tags, it’s best to rename them according to what they do (“play video,” “stop video,” etc.). With the buttons created, it’s just a matter of adding the video control functionality. In Lectora, this is accomplished through actions, and in the case of video controls they are very straight forward. Each button you create in Lectora has a tab in its properties named “On Click.” It’s perfectly fine to add an action here, although you might want to leave this tab blank and only add actions to buttons in the Title Explorer window. This way, you won’t run into problems down the road if you need to add multiple actions, and it’s apparent from the button’s expandable [+] icon that there are actions associated with it. Notice how the stop button returns the video to the beginning. With this is mind, we can combine stop and play actions together to form a rewind effect. This way when the rewind button is clicked, it stops the video and plays it again from the beginning simultaneously. Just make sure the stop action occurs first (above) the play action. With just these four basic controls and a creative use of Lectora’s button wizard, it’s possible to create a custom set of Lectora video controls that could visually fit your course’s theme or template. To take this idea even further, try using invisible buttons placed as “hot spots” over an image of a television or remote control. There are lots of creative possibilities. Have you used any similar Lectora tricks with Webdings, the button wizard, or video controls? Leave a comment, and let us know. We know that meaningful images provide a memorable and efficient way to learn information. Yet, in the tradition of building bulleted lists in PowerPoint, text dominates many eLearning courses. As a text-oriented person myself -- someone who finishes reading an article's text and then goes back to view the tables and charts -- translating text into images does not come naturally for me. So, over the past year, I've made it an informal personal goal to get better at it. After drafting a lesson, I've developed the habit of scrolling back through it in search of opportunities to replace text with something more visually appealing (e.g., a flowchart, labeled image, etc.). If I've written out a step-by-step process in an eLearning course, I try to replace it with a diagram. An easy way to do this is to replace each step with an icon or representative image, and then prompt learners to click or hover over the images for a brief explanation. Not only is this more visually appealing than a slide of text, but the diagram itself can come in handy as an abbreviated way to refer back to steps in the process throughout the course. For instance, if the next few slides elaborate on steps in the process, you can put a small version of the diagram in the corner of the screen and highlight the step they're learning about, reinforcing how the details fit into the larger picture. You can also use an interactive diagram like this as a hint for learners. When prompting them to practice with a scenario or activity, including a mini version of the diagram on the slide can allow learners to hover over the steps to remind themselves of what they need to do to complete the practice activity successfully. Kind of like a job aid within the training. Describing a process can also work well as a video or webcast, especially if some aspects of the process require more detailed explanation or deserve clear emphasis. An image is ideal for describing the components of something, such as a system screen, a form, or a piece of equipment. A simple click-to-view or hover interaction allows the image to be the focal point of the screen with minimal text appearing at any one time to reduce clutter. While there are many ways to include a story in eLearning, a slide full of text is probably the dullest option. Even if your access to multimedia is limited, including an image for every sentence or two of text can breathe life into your story, make it easier to read, and help ensure learners absorb it all. For example, if you're relaying a positive customer experience, you might include images with facial expressions that correspond to the plot. Images of frustrated expressions might go with a description of a customer's initial problem, intrigued expressions might go in the middle as the problem is being explored and moving toward resolution, and joyous expressions might come at the end when the problem is solved. Basic icons, images of people, and photos of everyday objects can be easily found in any stock image library. Even if you don't have image editing tools like SnagIt Editor or Photoshop, you can usually edit basic properties in the programs you use to storyboard an eLearning course. For instance, PowerPoint has options for flipping images, changing their color schemes, making their backgrounds transparent, adding shadows and depth, and probably other maneuvers I have yet to discover. In the absence of specialized software, PowerPoint also makes it easy to create diagrams by using their drawing tools and Smart Art function. If you use Articulate for rapid eLearning development, their Engage add-on includes several diagram-oriented interactions. What prompts you to use images? As I admitted earlier, I have to make a concerted effort to find opportunities for images in the training I design. It just doesn't come naturally to me. And for those of you who are better at this, my advice likely seems pretty basic. So if that's the case, please share your advice. What prompts you to use an image instead of text?